Just click on the links within the pricing & execution section (example below) & it’ll show you the available products/pairs to execute in the various account options. FXCM is a leading provider of online foreign exchange (FX) trading, CFD trading and related services. The company's mission is to provide global traders with access to the world's largest and most liquid market by offering innovative trading tools. Hi PMH, you can trade 18 of the most popular currency pairs as shown in the link that Wyntac posted. Thank you wyntac, and Jason! I actually opted out in the end because the mini account was a ‘Dealing Desk’ and I could not trade GBP/NZD on it - and, I would never find a reason to use up to 400:1 leverage. Thanks Jason and FXCM for being transparent and giving me the full facts to allow me to make an informed decision. Thank you for contacting FXCM. That is correct, if you opt out of the mini account, then you will remain on the NDD execution. However, if your account does not meet the 2,000 account minimum for the standard account, then your account is subject to a 10 GBP monthly fee. This fee is purely an account maintenance fee to keep the account open as a standard account when the balance is under the account minimum. I’ve no reason to think they’re lying, but I just wanted to double check this is right? I don’t want a DD account, but I don’t have £2000 in my account, and I wont be topping it up, and certainly wont be paying £10 a month. Does this not mean, at least in theory, that FXCM dealing desk can hold back prices that are going in one’s favour and accelerate prices that are going against one’s position? Even to the extent of hitting stops and holding short of hitting limit orders? How far from the NDD prices can, or do, the Dealing Desk quotes vary? Why, in fact, does FXCM, or any other broker, want to offer mini accounts and micro lots when the profits from them are so minute? What is in it for the broker? Is it simply to try and help beginners/small traders to become bigger and more profitable customers in the long term? If so, why trade against them? You didn’t mention whether your account is with FXCM US or FXCM UK, but I assume since you have a GBP-denominated account that it’s with FXCM UK. If that’s the case, then the low balance fee my colleague mentioned doesn’t apply to your account. The $10 monthly fee on Standard accounts with a balance less than $1500 only applies to FXCM US, not accounts with FXCM UK or FXCM Australia. Since PipMeHappy trades through FXCM UK, this fee would not apply to his account regardless of his balance. Yeah I have a UK spreadbetting account, so if I opt-out I wont get charged and I’ll remain on a NDD account? He did know it was a UK account, and as you can see even referred to GBP? Why, in fact, does FXCM, or any other broker, want to offer mini accounts and micro lots when the profits from them are so minute? What is in it for the broker? Is it simply to try and help beginners/small traders to become bigger and more profitable customers in the long term? If so, why trade against them? Like you, we believe our No Dealing Desk (NDD) execution to be the best model we can provide to forex traders. With NDD, FXCM acts as a price aggregator. We take the best available bid and best ask prices from our liquidity providers—global banks, financial institutions and other market makers— and stream those prices to your platform. This large, diverse group of liquidity providers makes this model special: The more advantageous the prices, the more order flow the provider receives. Through competition, NDD ensures prices are market-driven and fair. However, it’s worth noting that for risk management purposes, we limit the leverage available on NDD accounts to 100:1. That means traders must put up at least 1% margin. The feedback we received from traders with less than $2000 to invest in a Standard account is that they wanted an alternative that would allow them to trade with higher leverage (lower margin requirements). Our new Mini account type with DD execution is the solution for such traders. We offer up to 400:1 leverage on Mini accounts which means traders only have to put up 0.25% margin which is easier to manage for people with less than $2000 to invest in the forex market. How far from the NDD prices can, or do, the Dealing Desk quotes vary? Keep in mind that the disclaimer that you quoted is standard language required by our regulators that applies equally to any broker that offers you dealing desk execution. What makes FXCM unique is that we offer a No Dealing Desk alternative in addition to our dealing desk option. In fact, the prices on our DD feed are taken directly from our NDD feed where liquidity providers compete with each other to quote the best prices. The key difference is that for Standard NDD accounts, we show the raw FX spread and charge a separate commission, while for the Mini DD accounts there is no commission and all costs are included in the spread. The fact that FXCM offers clients an NDD option is important. It means that if you’re trading a strategy that exposes our dealing desk to more risk that it wants to take on, we can simply switch your account to NDD execution. With dealing desk brokers don’t have a separate NDD option to offer their clients, scalpers or arbitrageurs may encounter requotes or even have their accounts terminated for running such strategies. All trading strategies are welcome on FXCM’s NDD execution, and we want profitable traders. That’s because they trade more, and we make money off their trading volume. That’s correct. 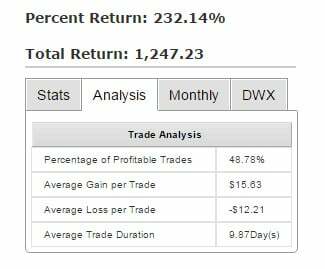 Just note that on your Standard NDD account, the leverage will be limited to 100:1, while Mini accounts have access to up to 400:1 leverage to magnify gains and losses. I apologize for any confusion. Do you happen to have a copy of that chat transcript or did you catch the name of the rep who chatted with you? If so, please send it to me via private message. He will appreciate the feedback, since we all want to make sure the correct info is provided to our clients. However, if you are able to deposit more funds and opt out of the mini account, then you would not be charged the monthly fee. If you have further questions or concerns please do not hesitate to contact us at info@fxcm .com [I](had to add alter to allow me to post)[/I], via live chat, or via phone at +1 212 897-7660. To clarify, the low balance fee referenced in that email applies only to FXCM US accounts, not accounts with FXCM UK or FXCM Australia. Our new monthly contest lets you showcase your skills and compete for $10,000 in cash prizes. All FXCM US Mini account holders are automatically entered. The best percentage return each month wins. Visit the contest webpage for complete rules and the current leaderboard. A great way to track your performance is through FXCM’s Trading Analytics. 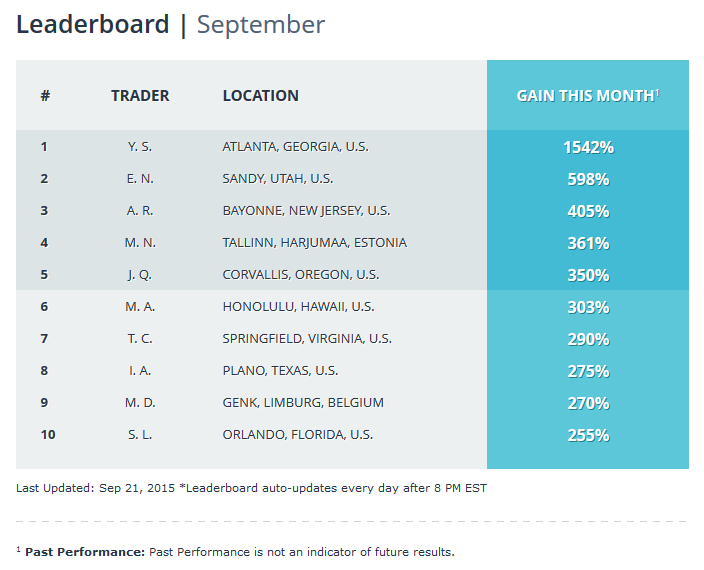 This new online app analyzes your trades so you can easily see what areas need improvement. You can use your FXCM account details to log into Trading Analytics. I would like to trade Cash Indices, but so far it seems I only find the Futures Indices for FXCM. Is FXCM only provide the Futures Indices? Is there any difference between the two? So far both type of Indices look quite similar, does one of them have an advantage over the other? Because if it is the same, I just trade the Futures Indices then. There seems to be some confusion. If you are referring to stock indices that FXCM offers for trading, then it’s worth noting that these show the spot index price, not the futures price. Please note the upcoming changes to CFD trading hours due to the end of daylight savings time in Europe and the United States on 25 October and 1 November respectively. Complete details can be found at the FXCM Platform Update Center. In terms of New York Time, the trading desk will still open at 5pm on Sunday and close at 5pm on Friday as always. However, since New York Time will shift on 1 November from GMT-4 to GMT-5, the trading desk hours will also shift by one hour in GMT terms. Starting that week, the trading desk will open at 22:00 GMT on Sunday and close at 22:00 GMT on Friday. The time zone on our New York Close MT4 servers will change on the weekend of 1 November from GMT+3 to GMT+2. In this way, midnight on your MT4 charts will stay in line with the 5pm New York Close. If you have any EAs or indicators that use a GMT offset, please update them to GMT+2 that weekend. I have been seeing your posts in many threads. Can you please give me a link in which thread was discussed the time of 15-01-2015. I would like to see how FXCM and you (in the forums) handled the situation when it seemed like the company goes bankrupt. As these events can happen any time and FXCM definitely had to have problems to come close to be bankrupt, it would be good to see what happened “at real time” and what is the assurance that the company learnt from that and will not do the same mistakes. After all, it is our money to invest and nobody wants to lose his money only because his broker failed to exercise risk management rules which is taught to every trader actually I think the January event showed perfectly that being a regulated broker does not necessary mean too much (not only because FXCM). You will find my posts about the SNB event in many threads on this forum, when you search for “SNB”. On January 15, 2015, the Swiss National Bank (SNB) caused a flash crash that lead to historic dysfunction never seen before in the FX markets when it announced that it was completely (not gradually) removing the 1.2000 self-imposed floor on the EUR/CHF exchange rate. FXCM has compiled data points which demonstrate the unprecedented and extreme dysfunction of the FX market on January 15th. For the full recording and presentation please click here. The majority of FXCM liquidity providers had [B]stopped quoting prices during this time[/B]. Had FXCM’s circuit breaks not engaged, the weighted average price of the same orders would have been much lower than the execution price of 1.05, at 0.9760. The January 15 flash crash saw the EUR/CHF drop [B]40% in seconds[/B] whereas the 2010 flash crash in the equities market saw about [B]9% drop[/B] in the Dow Jones Industrial Average [B]over the course of a few minutes[/B]. The market data show that the losses on January 15 were not the result of FXCM technology or FXCM margin requirements, but rather due to the [B]extreme market dysfunction[/B] resulting from the SNB’s irresponsible and unforeseen announcement to completely remove the 1.2000 EUR/CHF floor. In light of the reckless actions of the SNB, FXCM has since ceased offering any currencies which carry significant risk due to potential manipulation by their respective governments either by a [B]floor, ceiling, peg, or band[/B]. It’s worth noting that despite the events of January 15th, FXCM’s capitalization remains at levels similar to before the SNB event. Additionally, all of our regulated entities except the US provide clients with segregated funds. Our UK regulated entity through the FSCS even offers clients £50,000 per person in protection. Canada has similar insurance for retail traders of up to $1 million. The column that says “Total Amount of Retail Forex Obligation” shows the amount of money retail traders have on deposit with FXCM US which is over 50% greater than what is on deposit with the number 2 and number 3 retail forex brokers in the US. Globally, traders have $1.0 billion in client funds deposited with FXCM.